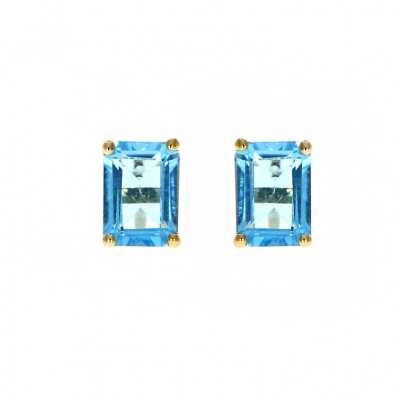 With the arrival of winter comes the bright and charming topaz – a stone that is often associated with striking blue shades but can be found in a number of hues. From sunshine yellows to electric blues and many more. The vivid colours bring a touch of warmth, offering an element of brightness to the wearer of this wonderful birthstone. Like many other birthstones, the topaz was historically held in high esteem amongst royalty and nobility. In fact, in 19th century Russia, the Imperial topaz was strictly only allowed to be owned by members of the royal family. This stone has come to symbolise many things and was thought to be particularly powerful by many cultures such as Europeans during the Renaissance when the stone was thought to break spells. African shamans also held topaz in high regard and even believed it to be sacred. It is not difficult to see how the topaz captured the imaginations of many cultures as the rich colours are so alluring. In addition to the irrefutable beauty of the topaz, this stone holds a great deal of symbolism and history that makes this stone such a wonderful gift for someone you love who has a November birthday. The stone has been associated with wisdom, life, healing and strength; all things that you may wish to gift to a loved one if it were possible. 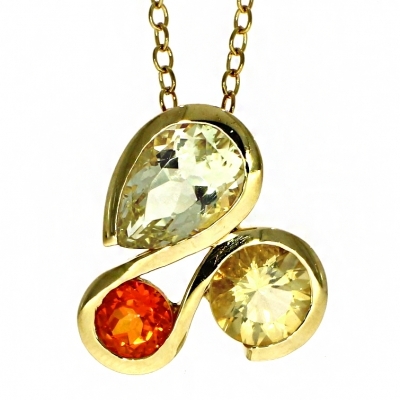 Topaz jewellery would then make a truly thoughtful gift for a special birthday or occasion. We stock a selection of exquisite November birthstone jewellery which is available to view below or at our Lancaster or Kendal stores. You can also benefit from 0% finance which we offer on our new and selected topaz jewellery products from £500.